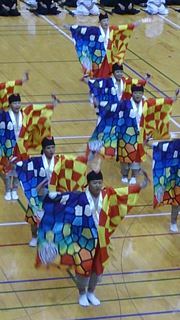 The Jidai Matsuri held on the 22nd was attended by a big crowd of Japanese and Foreigners. 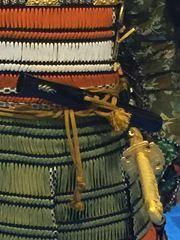 Tomorrow, October 22, I will participate in the Kyoto's Jidai Festival dressed up as a Yamanashi samurai, riding on a horse. 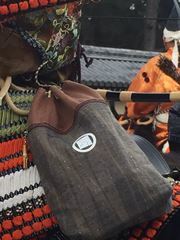 On the 17th of October, the annual International Tea Gathering was held in Kyoto. Around 500 people attended from 44 different countries around the world. 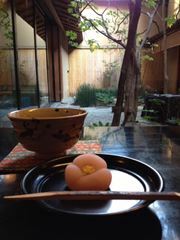 One of our Sanpakukan students, Izumi Texidor-Hirai, with Spanish nationality, performed as a host at this Tea Ceremony. 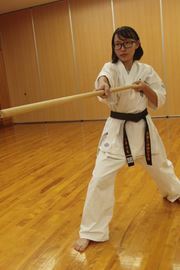 She said that she applied the spirit of Iaido that she has been learning in Sanpakukan, in her Tea Ceremony. That made me happy. 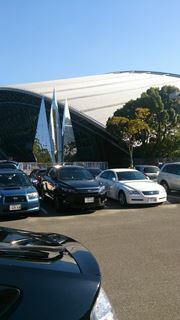 Today the 50th Japan's Iaido Competition was held in Fukuoka, in Kyushu. Today the event was divided into the 47 japanese prefectures, and I participated in the 5th Dan level, the 6th Dan level and the 7th Dan level. These are photos of today's bullet train and also of inside the train. Today we held the examinations for the Nagaoka Dojo and the Katsura Dojo. We tested for Kyu levels, not Dan levels. I was most impressed to see the efforts that the kids made. It is of course important to obtain Kyu levels and Dan levels, and win at competitions, but there are other things even more important than winning, and those are the things I want to teach. 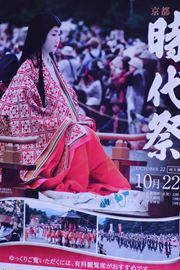 Next Thursday, the 22nd of October, Kyoto celebrates the Jidai Matsuri, one of Kyoto's renowned three great festivals. 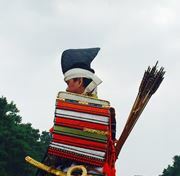 Around 2.000 people participate in this historical parade. 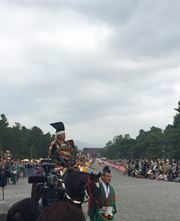 We held a ceremony at the Heian Shrine to pray for the success of this year's Jidai Matsuri. Under the blue sky and in the clean air, we listened to Japanese traditional court music being performed in front of the sacred altar. I felt proud of being Japanese. 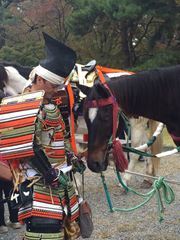 I (the Kancho) will also participate, dressed up as a Samurai of the Muromachi period, riding on a horse. 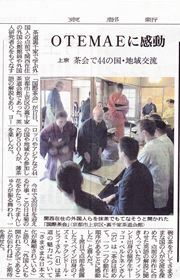 On the 12th of October there was an official Iaido examination in Kyoto. 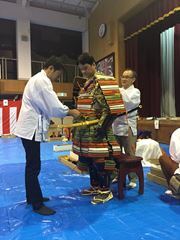 Three members from Sanpakukan went and they all passed! 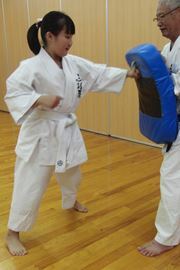 This examination is very different from the Karate exams, and one can feel the weight of Japanese culture. There was a practical part and a written part. 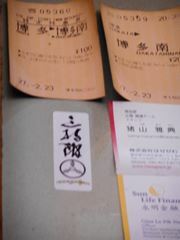 One of our students, a Spanish woman, sat the written test in Japanese. This must have been a big challenge for her. Congratulations! Felicidades! 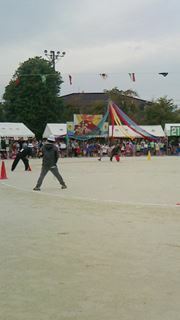 This morning I went to the local Sports Day event. It's not a bicycle race, and it's a little bit different from Sports Day in Sri Lanka. 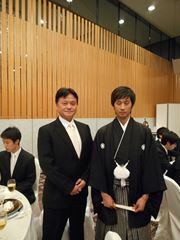 Today one of my Iaido students got married. In a Japanese wedding, the bride and the groom wear Japanese traditional kimono and also Western style wedding dress and suit. 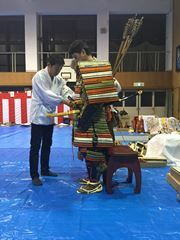 This tradition of changing clothes is called "Oironaoshi". I was very happy for them. 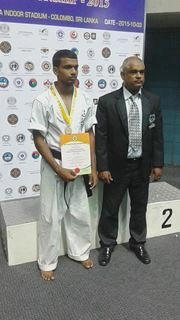 After the National Competition. I obtained the first prize again. 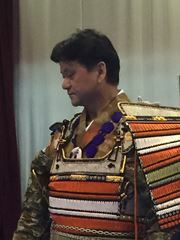 Three other Sanpakukan members obtained third place prizes. Bhathiya, congratulations on winning the competition! I will do my best to make your dream come true. 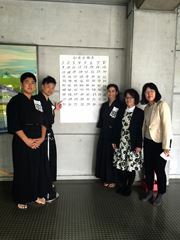 On the 4th of October, both Kotani sisters and myself participated at the Iaido Competition in Kochi. I did my very best and I hope that this will show in my upcoming classes. 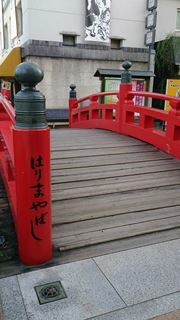 Kochi has many attractions, such as the Harimaya Bridge and the Yosakoi Festival.